Target Corp reported to Bloomberg that Apple product sales tanked 20% last quarter. 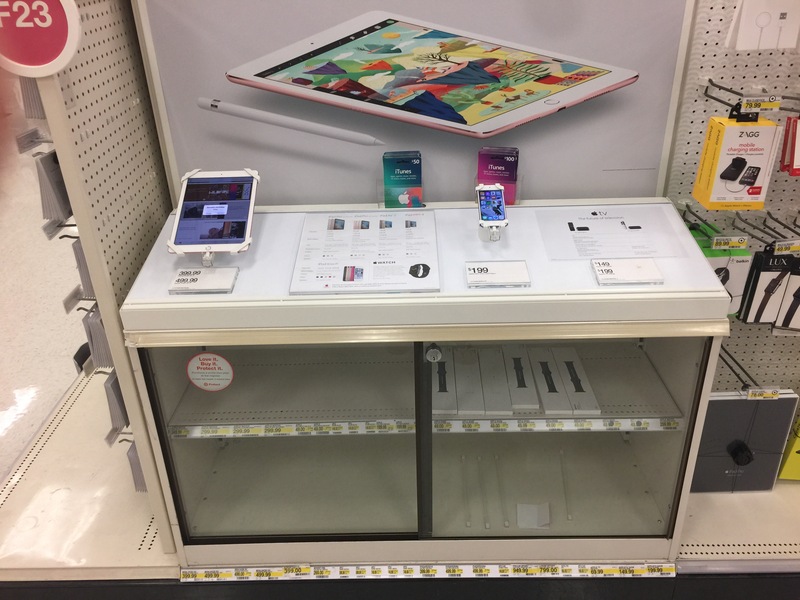 Target hinted the problem centered around a lack of “newness and innovation” on Apple’s behalf. First hand experience suggest that Target’s merchandising efforts may instead be the problem. People shop at Target for housewares and clothing but not high-end electronics. Never have – never will. It’s time for Target to pull the plug. Or at least consider stocking the shelves.